The Orchid Hotels Lagos, encapsulates the meaning of serenity and space. Whilst delivering both in the midst of luxury and elegance, the peninsula's ultimate getaway destination is also the ultimate place to host your next event. Orchid hotel is Located in the heart of Lekki, a two minutes drive from chevron on Lekki-epe expressway in Lagos. Its unique architectural design is a sight to behold on a ride through the Lekki-Epe expressway. The hotel was launched in 2010 and has seen a high growth rate attracting travelers from all over the world and hosting high profile events for organizations around West Africa. 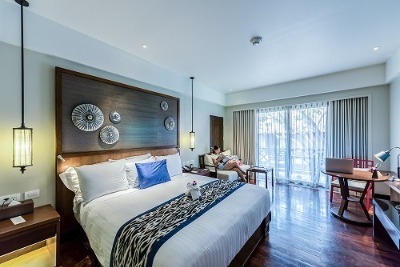 Orchid Hotel offers the highest quality rooms from presidential suites to standard. With a variety of recreational and entertainment venues which include our state of the art swimming pool: pool side grill; tennis court; indoor/outdoor and poolside bars and our range of conference and events centres, Orchid Hotel brings a converging point for business and pleasure. Orchid Hotels is a top-class hotel in Lekki, Lagos. I enjoyed my stay, the hotel is quite okay. Though it’s only God that protects, but other things being equal, the hotel is okay. And I will be give a general rating of 7 out of 10.